GE Entertainment Are Making a 21″ Rouge The Bat Plush! For the last few years, Tomy has been ‘the master toy partner’ for Sonic. Which has produced some really nice items as well as some products based on lesser used characters. However as a consequence, a number of other companies have cut back on what they produce. One such company was GE Entertainment who used to produce a lot of really great plushies on a lot of the secondary and even retired cast. Well it looks like GE are back in the plush game. Confirming on twitter, the company will produce 3 new plushies for 2019. 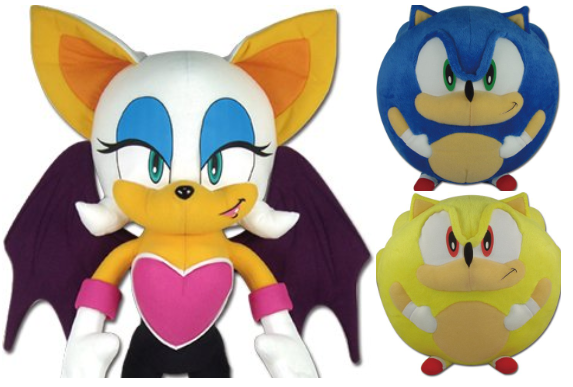 The first two are a standard Sonic and Super Sonic plush, shaped like a ball. The third… is a 21″ Rouge the Bat plush! 21 inches is just over 53cm making it a very big plush indeed! No other details were confirmed, but given how extensive GE were when they used to make Sonic plushies, we’ll be keeping a close eye on this one! I hate you Google Image. I put two Sonic characters in your search bar and you provide me with these horrifying images of Sonic couples. The safe search, it does nothing! Why are they inflated?! Why are they centaurs?! Why are those things a fetish?! GAAAAAH! 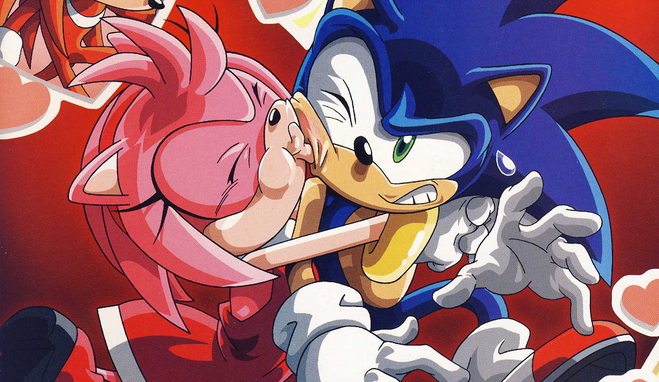 Anyway, it’s Valentine’s day, love (or some other foul stench) is in the air and it’s the perfect time to talk about everyone’s favorite Sonic relationships. While I’m sure there are many of you who like to ship their own fictional Sonic couples be it straight, gay or “call the police”, I wanted to focus on the ones that have been made official or even semi-official through the games, comics or cartoons be they full blown couples or just one-sided love interests. I’m not much of a shipper myself, but I wanted to look at them from a writer’s perspective to see what works about them. So in no particular order, here’s my list of what I personally think are the best couples in the Sonic Universe. If you’re planning on breaking out the pumpkins on Sunday, check out Rally the Cheetah and The-Lioness’ Sonic designs from last year if you’re stuck on a cool look. Rally’s also come up with a fresh new design this year, Rouge the Bat. 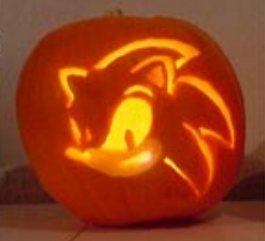 Cutting out a pumpkin and roaming the streets this year, or locking yourself in and switching the lights off so it looks like no-one’s home, like I am? >_> Either way, let us know in the comments. 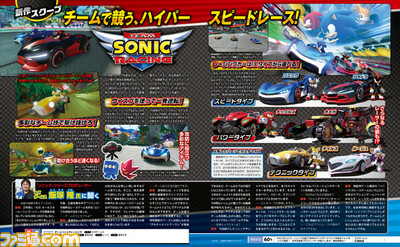 Every month, as most of us now know, Sonic Channel updates with a new character art, wallpaper and other goodies. This month, we have a Big the Cat profile, along with his art and wallpaper. There is a Rouge puzzle with last month’s Rouge art added and some fan art. Lots of fun there.